Essence Coprich, ever the teacher, wanted to grow up to be a doctor. She loved her baby brother, Jeffrey, and was very protective of him. She survived an environment of violence and despair only to have her life tragically cut short. 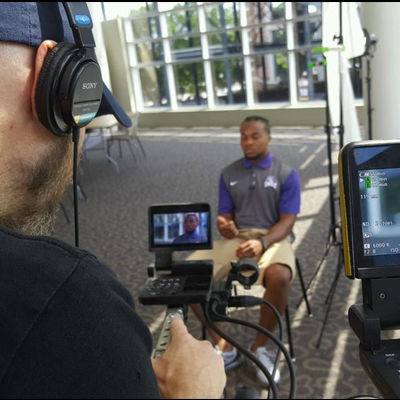 When East Carolina running back Jeffrey Coprich Jr. was younger, his sister, Essence, was killed in a car accident. He honors her memory with a library and a book club to the children of Watts, Los Angeles. “I like to feel like she’s proud of me right now,” says Coprich. 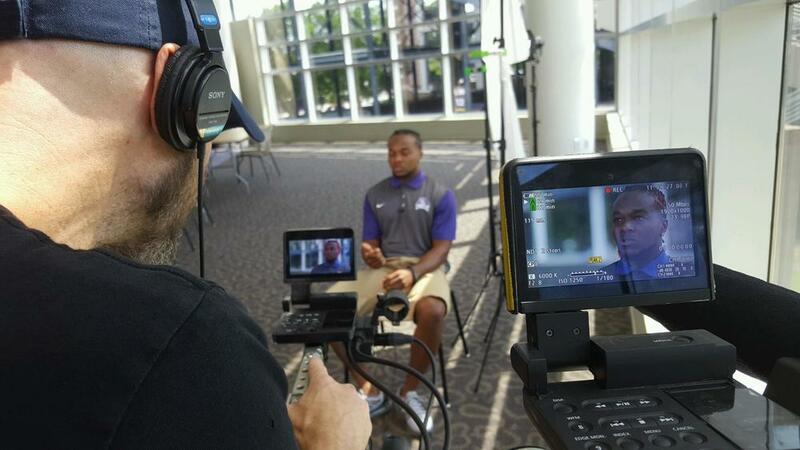 Our Los Angeles crew profiles Coprich for CBS Sports. 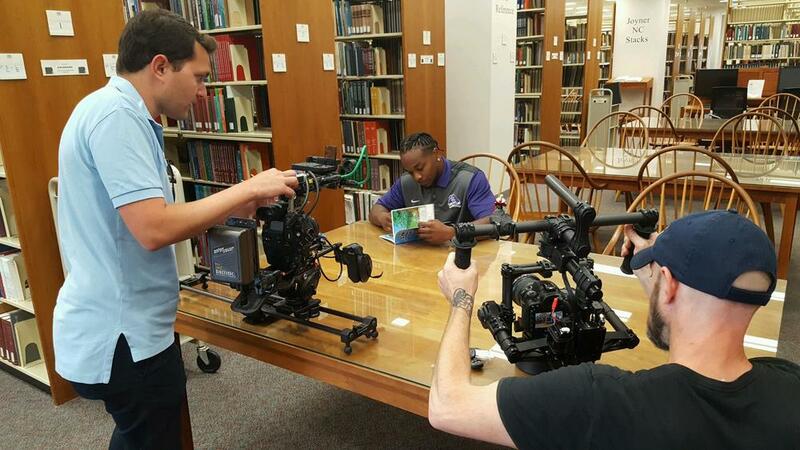 For the documentary shoot, we filmed interviews and shot scenes and B-roll with the East Carolina Pirate. The city of Watts is a character in this story that frames Coprich’s childhood path leading him to be a star on the field and in his community, away from the city’s temptations. During the shoot, we traveled to Coprich’s old house and neighborhood. We were able to shoot in his old elementary school, where Essence’s memory lives on through her library and reading programs. Watch this powerful CBS Sports feature.